Asta Audzijonyte is a research fellow in macroecological modelling at the Institute for Marine and Antarctic Studies. She has an interdisciplinary research background in evolutionary biology, ecological modelling and molecular ecology. Her current research focuses on understanding how human induced changes in growth and reproductive schedules of marine organisms (life-histories) and redistributions of species are affecting marine ecosystem function, productivity and resilience. Asta Audzijonyte has completed her MSc in zoology at the University of Vilnius (Lithuania) and received PhD in 2006 in molecular ecology and zoology at the University of Helsinki (Finland). Her PhD was focused on the diversity, postglacial dispersal pathways and local adaptations of freshwater mysid crustaceans in boreal lakes and Ponto-Caspian region. After her PhD Asta was awarded a David and Lucile Packard Foundation Fellowship to work at the Monterey Bay Aquarium Research Institute (USA) and study connectivity of deep sea chemosynthetic communities. In 2009 Asta joined CSIRO on a post-doctoral fellowship, taking on a new research direction of using advanced ecosystem models to understand how fisheries induced evolution might be affecting marine ecosystems. Her research demonstrated the species interactions can magnify human impacts, and even reverse population resilience predictions made using single species population models. This work has received a lot of attention from public and media, including a cover story in Australasian Science, ABC Science Report, interview on ABC Radio PM program and interview for a German DRadio. In 2013 Asta was awarded a competitive Kone Foundation (Finland) fellowship for applied sciences, and moved to Finland to study fisheries and climate change effects on the Baltic Sea using marine ecosystem models. 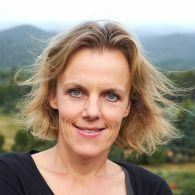 Asta joined IMAS in 2017 and continues her research aimed at developing and applying marine ecosystem models to understand impacts of climate change, species redistributions and fish life-history changes on the function, productivity and resilience of marine ecosystems in Australia and globally. Asta has contributed to undergraduate and postgraduate teaching at the University of Helsinki and University of Tasmania. She has given guest lectures and practicals in ‘Marine resource management and conservation’ (KSM201), 'Molecular Marine Ecology' (KSA714) at the University of Tasmania, and in ‘Molecular Ecology’ and ‘Zoological Collections’ courses at the University of Helsinki. In 2014 Asta was granted the academic Adjunct Professor (docent) degree by the University of Helsinki. Asta’s research helps to improve our understanding of marine ecosystem dynamics and best practices in sustainable fisheries and conservation. This work is important for the development of sustainable marine policies and aligns with the University's research theme of Marine, Antarctic and Maritime. Asta’s work also addresses factors and mechanisms influencing fisheries productivity and stock recovery rates and effects of climate change on marine communities. Her work aligns with the National strategic research priority of 'Living in a changing environment'. Asta has published in key journals in marine ecology, fisheries, conservation, molecular ecology and evolution fields, including Fish and Fisheries, Frontiers in Ecology and the Environment, Marine Ecology Progress Series, Biology Letters, Molecular Ecology, Biological Invasions, Conservation Biology, Evolutionary Applications and Evolution.